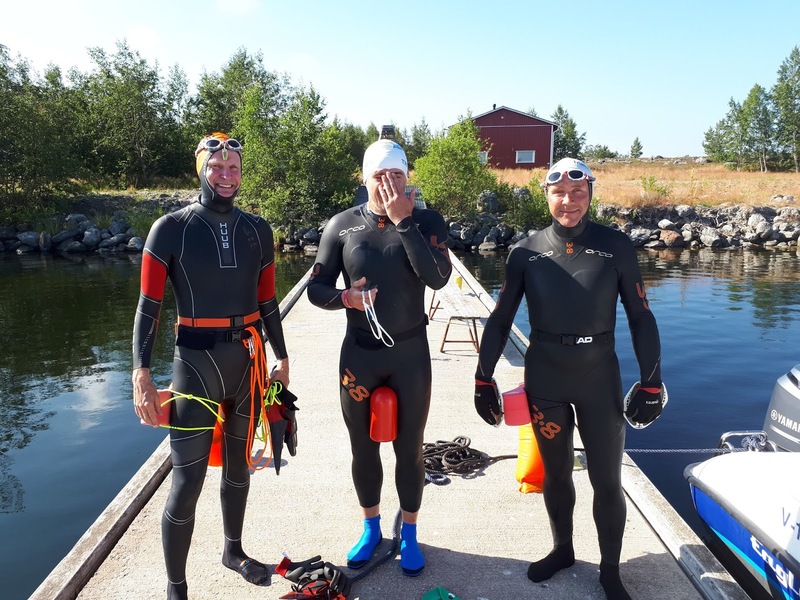 This week on the blog we have a special story from Lennart Flygare, a Swim Smooth follower who used our coaching to set a world first - swimming the Kvarken Strait from Finland to Sweden! 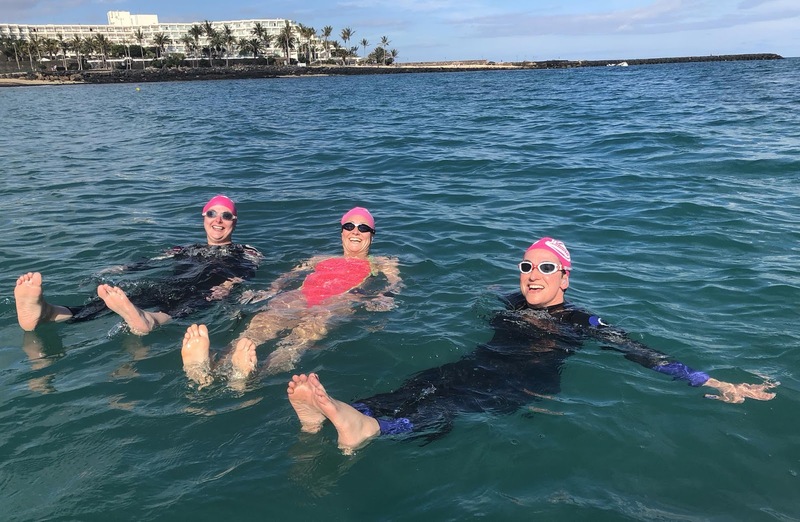 This super-tough swim has never been completed before but that didn't stop Lennart and two friends believing it could be done. 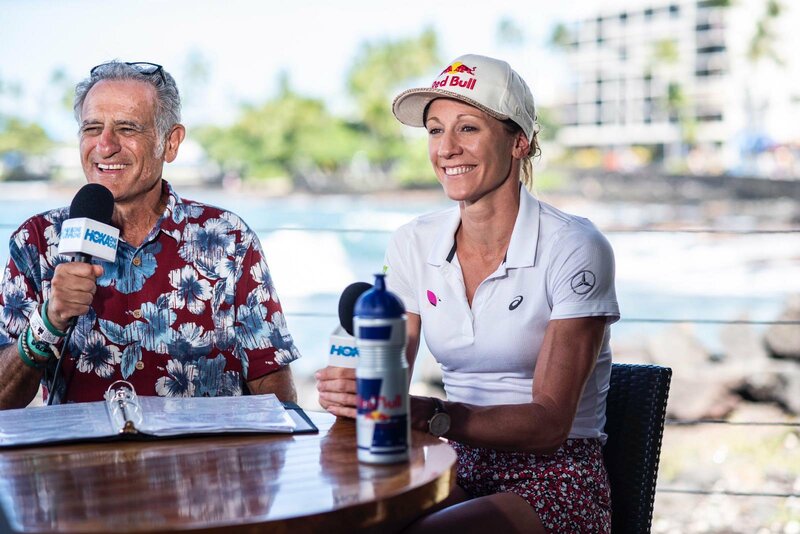 Our take on this is that even if you're not a super-fast swimmer yourself, you shouldn't let that stop you taking on some big challenges yourself. Research, plan and prepare well (including appropriate safety cover) and there's nothing to stop you achieving something amazing like Lennart, Pavio and Tore. Congrats guys on your special achievement! Before and after - tired but exhilarated! It was at 7.30 pm with 3km to go when the ice-cold head-on current working against us set in. That was when for the first time I started to doubt if we would make it. But let's start from the beginning. Some four years ago at the age of 53 I took up triathlon. I had suffered bilateral frozen shoulders and an injured knee and realised I couldn't just run in the woods for training. Variation was needed. As almost all beginner triathletes I dreaded the swim - only being able to swim breast stroke without any clue how to swim crawl for more than 15 meters. However, one day one of my triathlon friends Anna Jonsson who had been to Gothenburg and trained under Swim Smooth Coach Anna-Karin Lundin gave me a book, which she thought would suit me. And so it did, the book of course being The Swim Smooth Book. Suddenly everything fell into place about my swimming. Identifying myself as a slim Arnie I soon found ways to work on my technique in a more structured manner. I didn't swim more but my sessions became structured with a set aim every time. I skimmed Youtube for the Swim Smooth videos and also bought the training plan for Olympic/Middle Distance Level 1 and started to follow it. Suddenly swimming become my favourite discipline and I longed for every swim session. 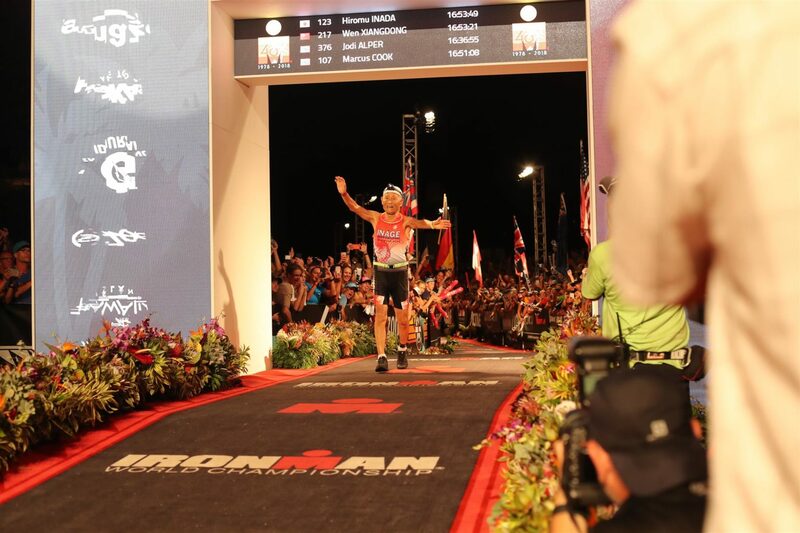 That first summer I entered my first Ironman in Copenhagen. Stepping out of the water at 1:16 I soon realised that swimming had changed from my weak spot to my real strength in triathlon. Since then I have continued to use the training plan. I am still a mediocre swimmer with a CSS of 1:55/100m* but my stamina and endurance have grown each season. I live in Sweden, in the city of Ume? by the coastline of the Gulf of Bothnia. At our latitude, 63° North, Sweden and Finland is separated by a strait named “Kvarken”. Although only 23km wide at its narrowest point no one had ever succeeded to cross it swimming although several attempts had been made. Freezing cold water, strong currents and windy conditions had stopped every endeavour even from some pretty good swimmers. Nevertheless, after one of our swim sessions in the pool last winter me and two friends came to chat about it and decided we should give it a try. I think the others soon forgot our chat but I could not stop thinking seriously about it. I even bought a new Huub Archimedes wetsuit with the crossing of Kvarken in mind. This year we had an exceptionally warm summer and I spent lots of time studying the weather forecast, and chart of currents and water temperatures. Every day it seemed the wind was too strong and the waves to high due to strong sea breeze in the strait. 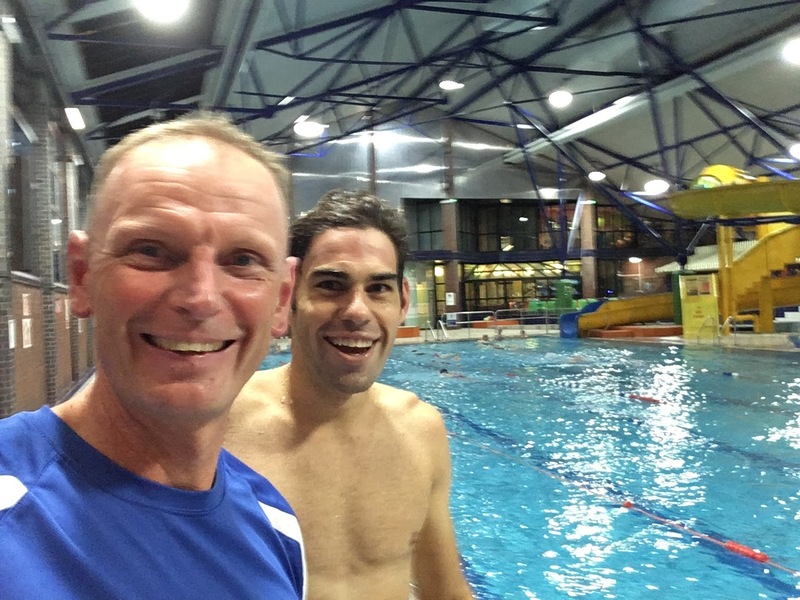 Finally, my friend Per Edlund and I decided to try a night swim on the 18th July in search for calm waters. As we slipped into the water at 10pm we knew that this was going to be tough. The charts had said 17 °C in the water but it was more like 12-13 °C and surely enough, as the sun set below the horizon the cold soon creeped through our bones. After 2½ hours and just 5½km due to a current working against us, we realised this was not going to work and so we had to abandon our try. We understood that the next attempt had to be daytime although good weather usually results in a strong sea breeze. Per went away on vacation and in an ironic twist of fate the weather report forecasted perfect conditions 7 hours before Per was to return. So, with much hesitation and sadness we had to leave Per at bay and set out for the next try, this time with Pavio Grzelewski and Tore Klingberg in the swim-team. We decided to start in Finland and swim towards Sweden in order to match the predicted wind and currents. During the night, there was a strong wind force 6-7 and as we set out for Finland in the boat in the morning, the waves in the straight were still at a considerable height. The waves settled quickly however and by the time we reached Vallasaaret in Finland the conditions were close to perfect. Sunny and 18-19 °C in the water and a south-easterly wind force 1-2. We set out at 9.30 AM. The first hour we clocked almost 3½km on the GPS without much effort, probably due to a good tail-current. We took turns to stay in the lead ½ an hour at a time with the two others enjoying the wake of the lead swimmer. 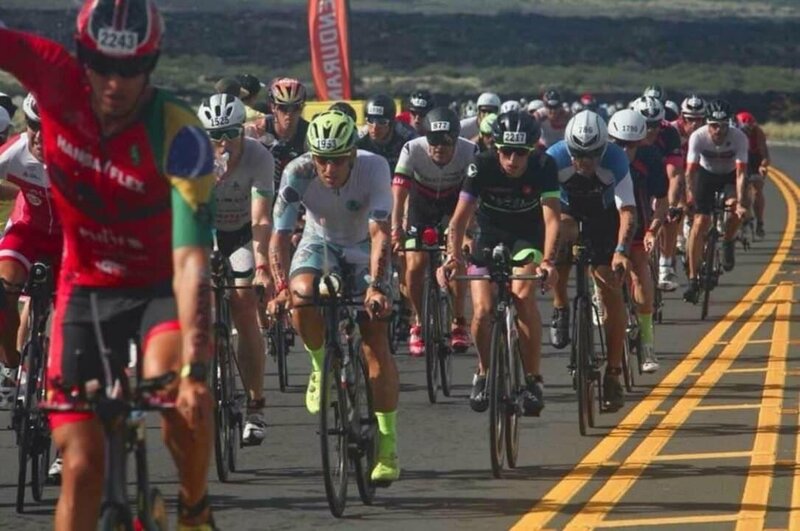 Soon the initial excitement wore off, the distance gained dropping to the expected levels of around 2½ km/hour and it all became a matter of keeping the pace, concentration on breathing and holding the course direction. Erik and Urban in the support-boat stayed ahead of us directing us to the finish at Holm?n in Sweden. At around noon the sea breeze started to set in but as it was from the left side and just a tiny bit from behind we thought we could manage as long as it did not get too strong. However, as the sea breeze built up to force 4, Pavio became seriously seasick and I was not feeling too good myself. Rye sandwiches and Coca-Cola from our supply vessel combined with a decreasing wind got us through though. It was not until afterwards that Pavio admitted he was seconds from giving up right there and then! After 5 hours, we were exactly halfway according to our calculations having swam some 12½ km, the extra km due to our slithering course. Apart from some neck chafing that had to be covered with duct tape, we still felt good and as the wind died out everything went as planned. We were out of sight of land, minutes became hours, swim strokes became kilometres and after 8 hours, we began to see the Swedish coastline. It didn't get much closer though and after 9½ hours and 22 km on the GPS I asked our friends in the boat how much was left, anticipating their answer to be 1-1½km. When the reply was 5½km we were not too happy realising we had forgot to calculate for our inability to swim a straight course topped off with a slight head-current. Still, the weather was nice and we were still in a good mood so this should be all right as long as we could cross the shipping channel safely. We were lucky and managed to cross just between two big freighters without having to stop. By now the coastline started to come closer but the sun was getting near the horizon. Remembering our try from the week before I desperately wanted to finish before the sun set. That was the moment when we came into the freezing head current and I thought: "No - this is not happening. We have not´ swam more than 23 km just to give up with the finish in sight!". Tore was totally exhausted by then, battling with cramps in his calves, and I secretly decided to take his turns in the lead should it come to that. Pavio had however made a remarkable recovery after his seasickness and made good turns at the front. I could slowly feel my limbs getting heavier and stiffer but as the coastline started to come nearer with every stroke our spirits lifted. With 2km to go, we suddenly heard some cheering and there was Per with our good friend Anders on jet skis greeting us. What a nice surprise! Their support was so welcome and with a final effort, we pushed through the last km to arrive at Holm?n 12 hours and 2 minutes after the start. As we climbed out of the water on pebbles and rocks, the whole world kept rocking, the way it does for ocean sailors coming ashore. I guess the feeling of relief even overwhelmed our joy to have made it! • Preparation is everything. Follow the weather reports closely and never cheat on safety. We had orange swim buoy's attached to us and all swimmers were connected to each other with long rubber cords, just like the ones used in swim-run events. The service-boat always stayed within 100 meters of the swimmers. • With time you will get cold. We used neoprene swimcaps, as well as neoprene swimgloves and socks. I also had a thin woollen t-shirt under my wetsuit acting as insulation. Still our body temperature dropped fast in the last hour. • Don't start out too fast. It is just like the swim sessions in the pool. One really needs to hold back in the speed from the start. Fatigue will come for sure anyhow. Think a Red Mist Session x-plenty! • Train for endurance, not speed. 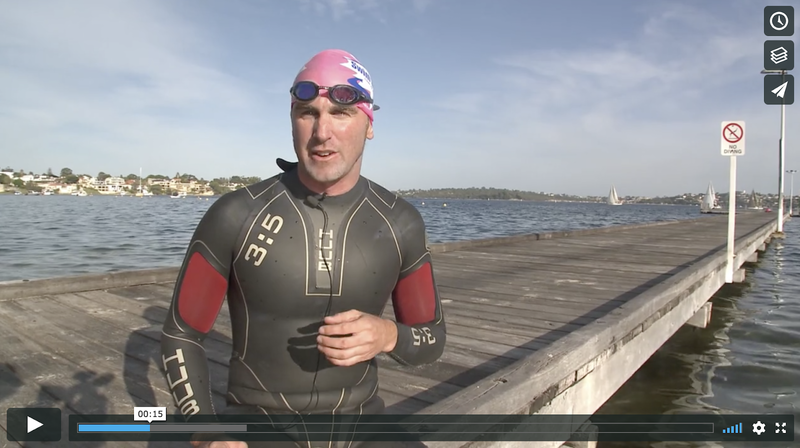 I have personally found the Swim Smooth training plans for triathletes ideal in this respect. • Finally, if someone in the team gets seasick – put them to the back of the pack. ?? * Actually that's a perfectly respectable CSS pace. Nothing to be ashamed of Lennart! 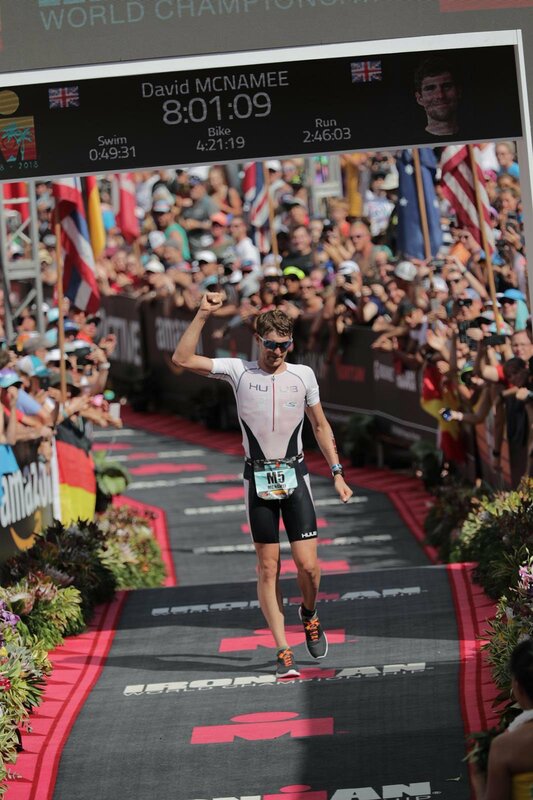 We hope you enjoyed watching the Hawaii Ironman last Saturday as much as we did. 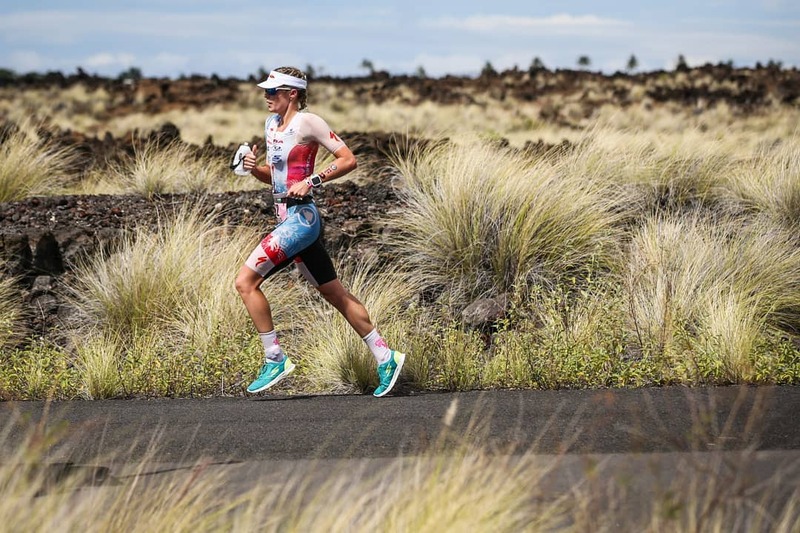 It was a race of incredible performances up and down the field as Pros and Age-Groupers alike set some stunning times and course records fell in the lightening-fast (for Kona) conditions. 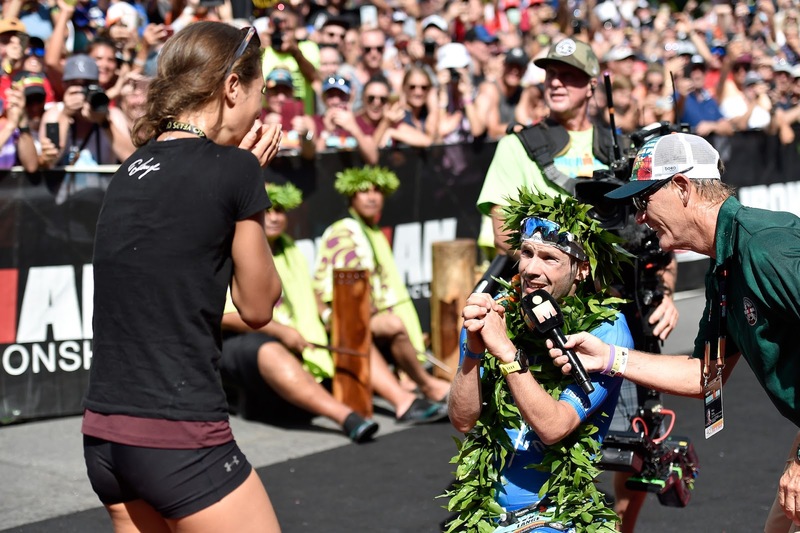 This week on the blog we have some interesting and inspiring links for you from around the internet to stories, interviews and quotes from many of those athletes. 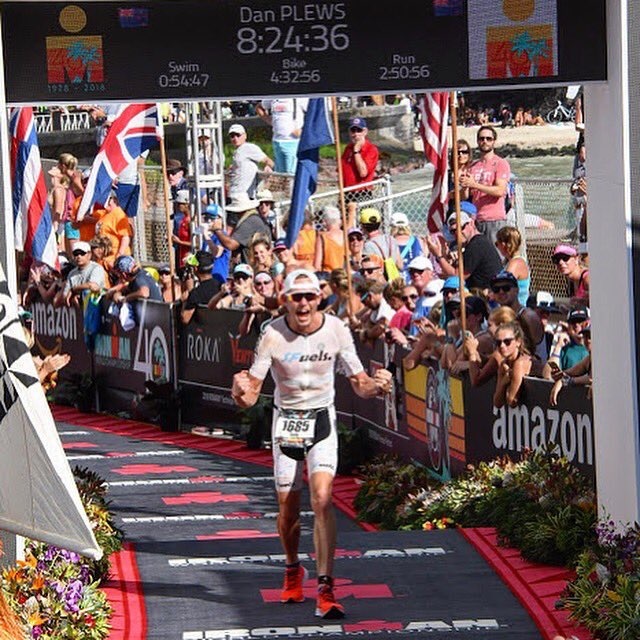 Last but not least, friend of Swim Smooth Dan Plews (below) set an all-time age group world record of 8:24:36. 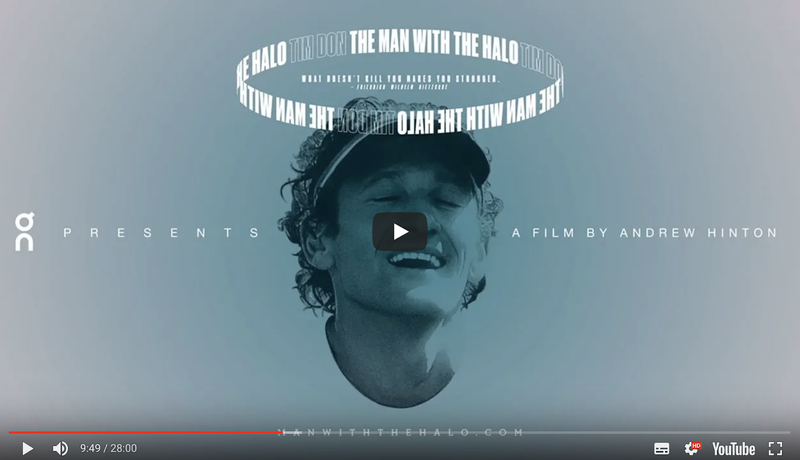 We will have our exclusive interview with him next week on the blog - look out for it!